The Ultimate Thanos Quiz: How Well Do You Know The Mad Titan? After being teased for six years, Thanos finally made his presence felt in Avengers: Infinity War. The Russo Bros. set out to make their villain iconic, and it is safe to say that he did not disappoint. The Mad Titan ripped the Avengers and the Guardians to shreds and did something almost no comic book movie villain does - he won. Yet this is just the tip of the big purple iceberg. As powerful and awesome as Thanos has been depicted in the Marvel Cinematic Universe, this is nothing compared to the source material. The character has such a rich history on the comic book pages stretching all the way back to 1973, battling the Avengers, his own children, and enduring a pretty rough childhood. 1. 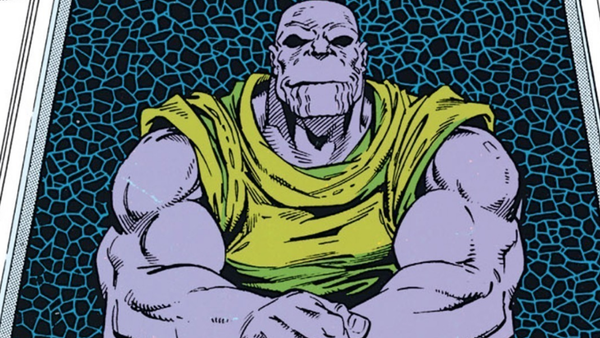 In What Comic Did Thanos Make His Debut Appearance?